"Whether you consider yourself fair, medium, olive, dark, or anywhere in between, this box full of rich, saturated jewel hued goodies that are universally flattering and will look good on virtually everyone! Think dark wine reds, deep purples, gorgeous emeralds, and more decadent jewel tones – this beauty box will satisfy your every chromatic whim. Sneak some of these precious stone tones into your fall season makeup and beauty for your chicest look ever!" Reading this description, got me so excited. I have to admit that Memebox does well enticing customers with box description and pretty graphics, but do they deliver...? Memebox Product Description: "This lip mousse is a combination of lipstick, lip gloss, and lip tint. It glides onto lips with a rich pigment payoff and a smooth, non-sticky finish." How to Use: "Use provided brush tip to apply the formula over lips. Blend it in for a natural gradient or fill in in all the way for a full lip." I suppose this a jewel tone colour? But its too much like other products I've seen already. Feels like this should have been in the previous box: Memebox Colorbox 4 Electric Brights. Memebox Product Description: "Designed with the perfect mix of glitter and shine, Star Powder in Sparkle White creates a dramatic light-catching effect and brings instant sophistication to any makeup look. It coats over skin for a velvety smooth texture, sparkling with glowing elegance. Use it as a highlight, an eye shadow or a facial & body glitter powder." How to Use: "Carefully open lid. Set the lid on a steady surface, and tap out the powder onto the open lid. Use your finger, or an eye shadow brush to spread the powder across your lids." I had to open and swatch this right away..its so pretty...very shimmery with an iridescent sheen. Sadly, I'm not sure when and where I would use this. Perhaps if I were to dress up as a fairy, which is never. I will attempt to try a dab of it on my eyes one day. Memebox Product Description: "A classic lip gloss that gives an intense shine and moisture from a blend of ceramide, natural essential oil, coenzyme Q10, and squalane. Despite its glossy visual, it's non-sticky, long-lasting, and lightweight. No exactly sure what colour I got of the two, but I think they look very similar based on the information card. I've tested this once the other day. Didn't leave any lasting impression on me. Not a very long lasting lip gloss. It did have a nice strawberry fragrance to it though. Memebox Product Description: "Color World's Jewelish Stick Shadow features beautiful shade with a creamy formula to provide an endless spectrum for creating flawless bold eye makeup. Each convenient stick is long-wearing, transfer-proof, and crease-resistant. The color glides smoothly onto lids and blends easily for a rich pigment payoff." How to Use: "Apply directly to eyelids and blend it in for a desired intensity. This is basically a large eyeliner pencil in silver. Haven't tested it yet. Will have to update this post with swatches. 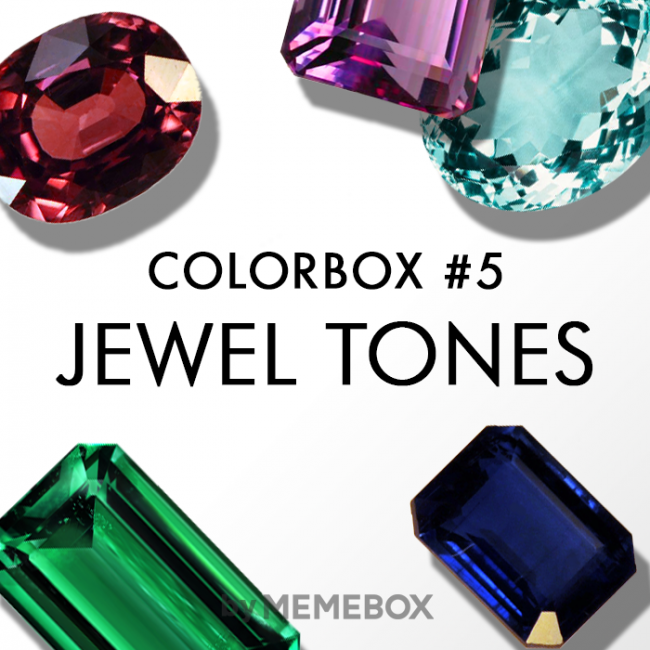 Overall, this box is a bit better than Memebox Colorbox 4 Electric Brights, in my opinion, mainly due to the fact that we actually got all 'coloured' items. In terms of usability, probably not much, except the lip gloss..though fun to look at. I would like to recommend this product to others.